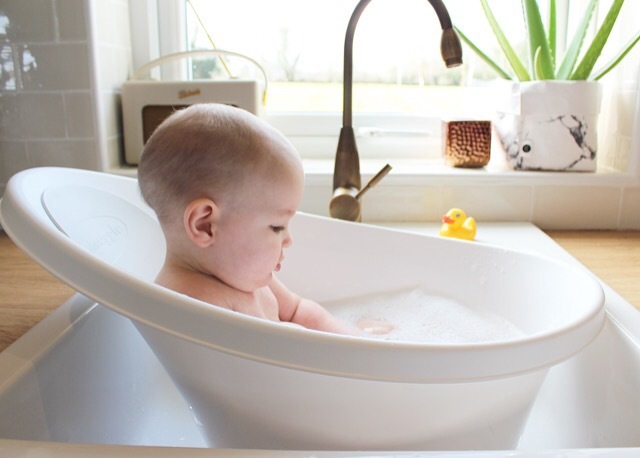 Bath time is Zac’s favourite time of the day, it is part of his bedtime routine, it relaxes him and initiates the start of the wind down to those oh so precious z’s!! 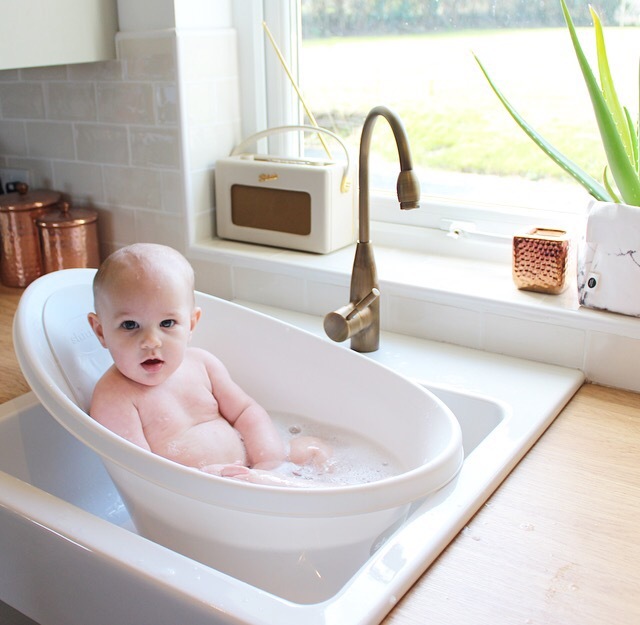 I first came across Shnuggle on Facebook, I followed their page and I read some fantastic reviews on their bath tub but because I already had a bath for Zac I thought it was just another thing I didn’t need to buy, I was mistaken. 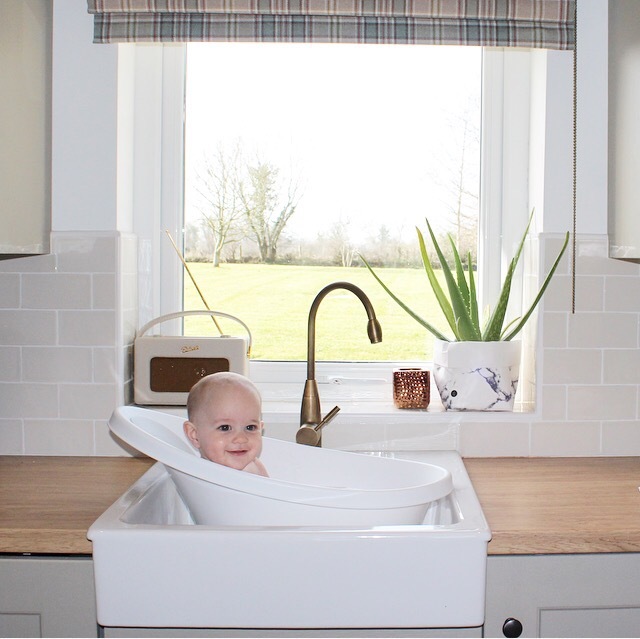 We don’t have a bath at home so rely on the kitchen sink for Zac’s daily soak, the tub I had didn’t really fit in the sink properly so I really had to stand over Zac whilst keeping an eye on the wedged in bathtub..not ideal! When I tried out the Shnuggle bath I was kicking myself I didn’t purchase it sooner. It fits perfectly into the sink, it feels safe and secure. Zac looks so comfortable in it, he can kick back and relax against the super soft foam headrest or sit up and splash and play with his rubber duck. The little bum rest stops him from slipping under while the high sides support him. I feel much more confident bathing him in it because the tub supports him fully giving me two free hands to wash him and even play with his bath toys with him! 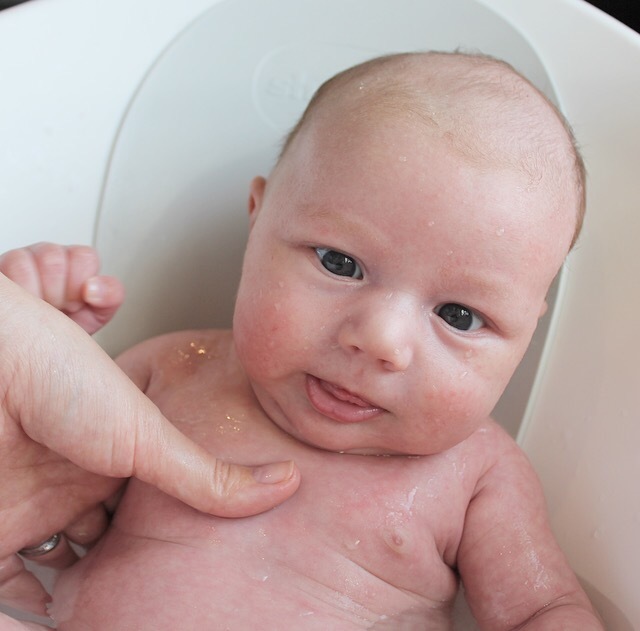 The Shnuggle bath is recommended from birth so I got Tara to test it out with Sam to see what she thought. She loved the way it fully supported Sam and gave her a lot more confidence bathing him as she had a free hand to wash him. 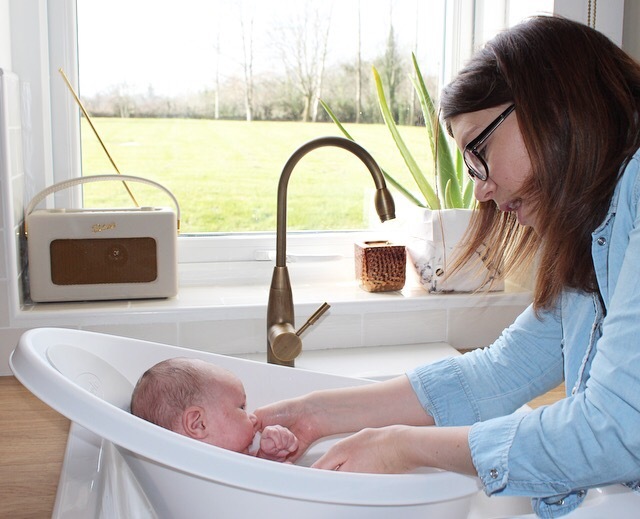 She also commented on how much more compact it was to her current baby bath making it easier to store when not in use. I have always been an avid supporter of local business’s and I was delighted to find out that Shnuggle are based here in N.Ireland. They recently featured on BBC’s The Dragons Den and even secured an investment from Touker Suleyman! 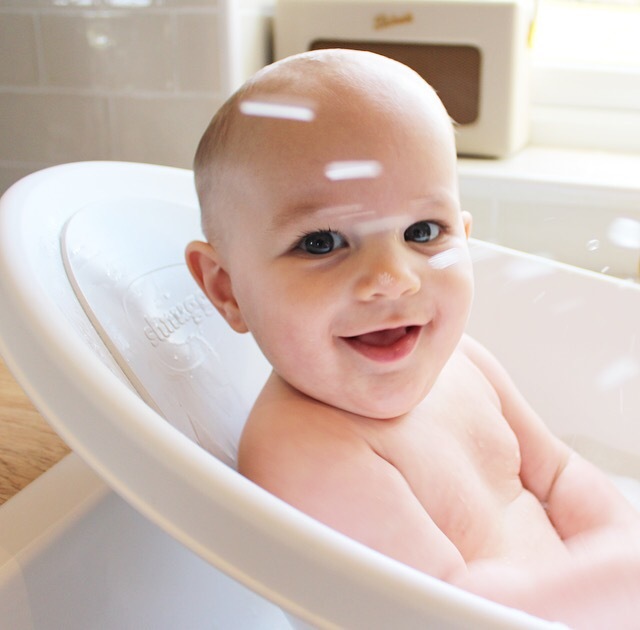 Check out Shnuggle to see other innovative products such as their Dreami Moses basket alternative and the Pebble bath thermometer! Why didn’t I try this sooner? !